Inspirica’s brand is meticulously designed to be welcoming, calming and elegant – a departure from mass-market tutoring companies. An upscale clientele is subtly targeted through carefully crafted photography in sophisticated settings. 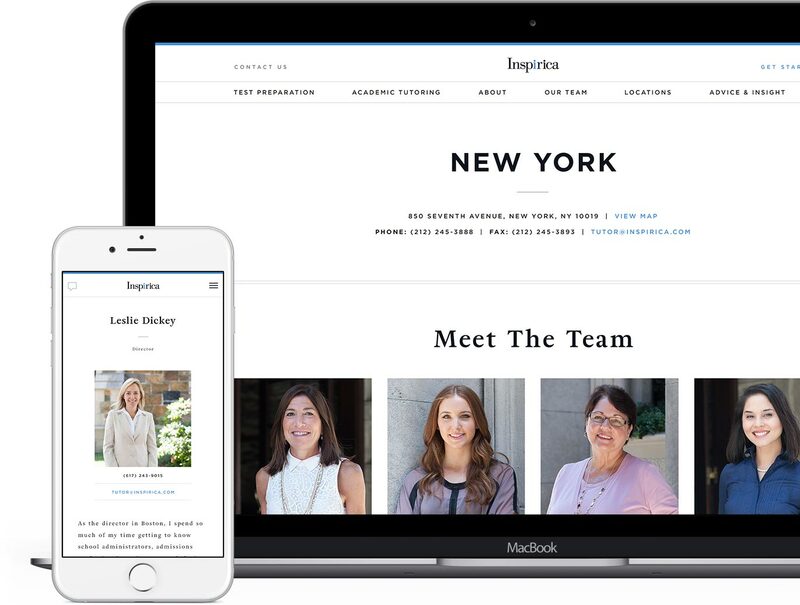 Location-based profiles put Inspirica’s renowned, knowledgable and accessible staff at the forefront. 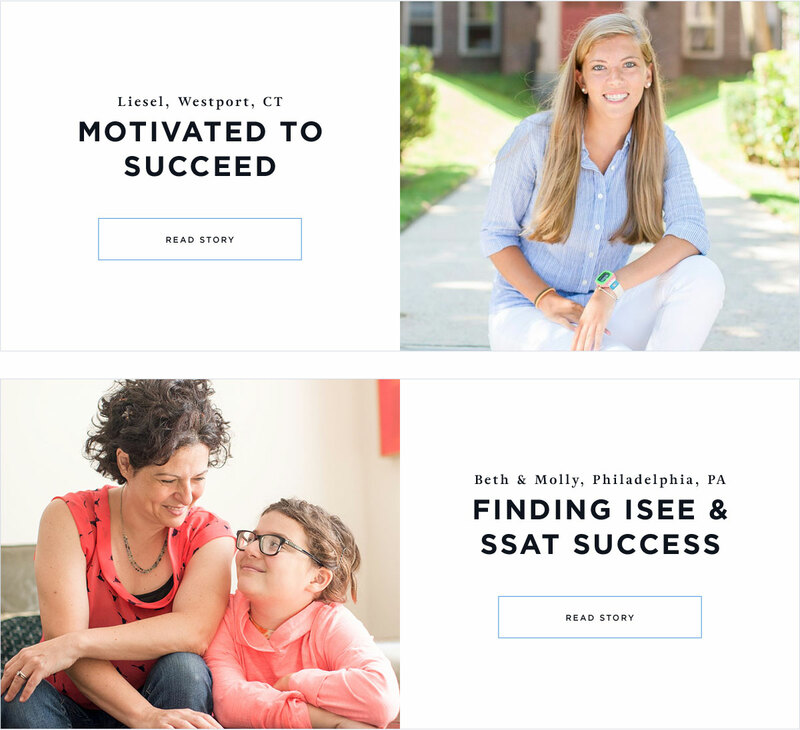 Convenient tools, like a standardized test calendar, further support students and families. 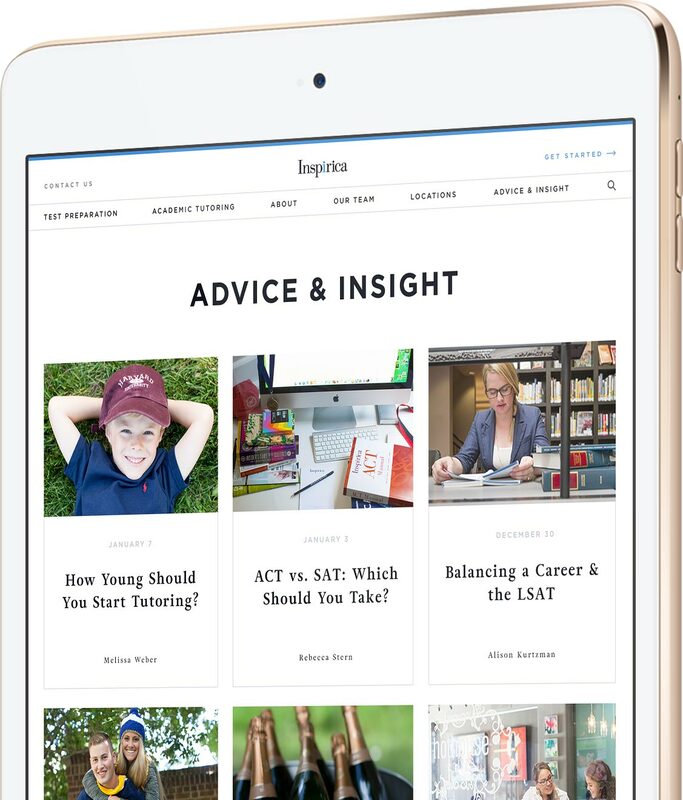 Inspirica’s blog solidifies the organization and its staff as experts in parenting and education. 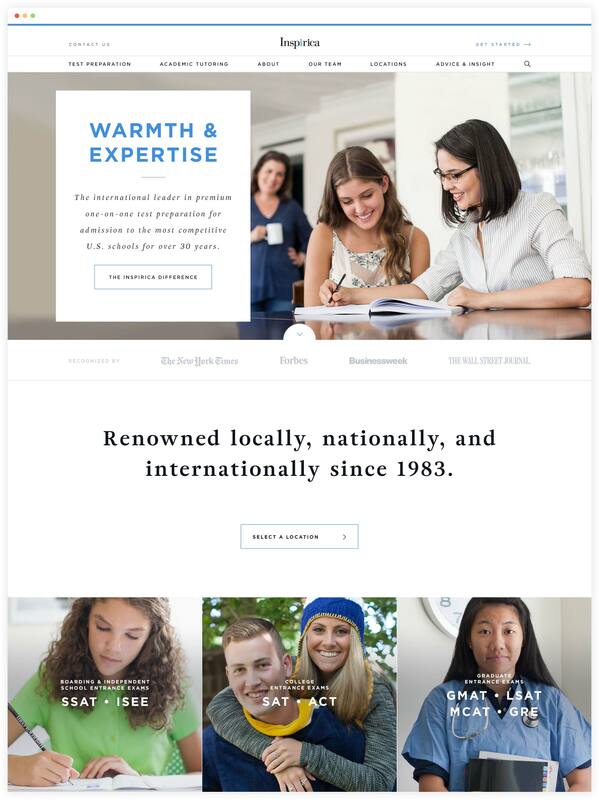 Landing pages with strategic lead generation forms support Inspirica’s global brand. 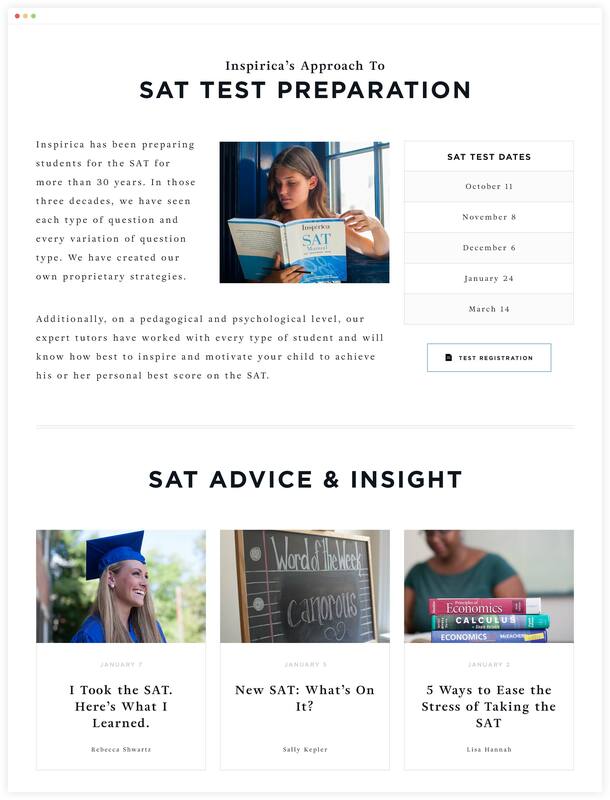 Landing pages for every standardized test were created, complete with Inspirica’s approach, FAQs and expert articles. Inspirica’s impact is demonstrated through engaging stories with former students who have enjoyed incredible outcomes.